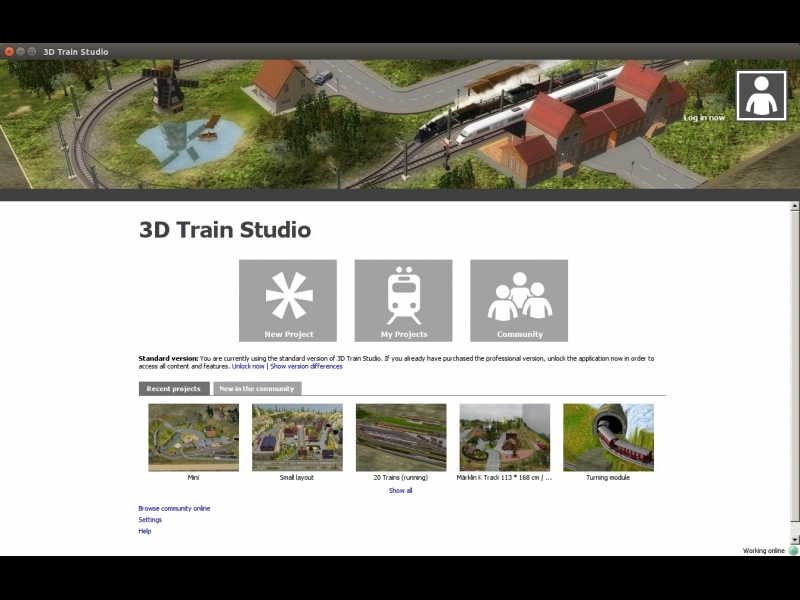 3D Train Studio - Unterstützte Software - PlayOnLinux - Run your Windows applications on Linux easily! 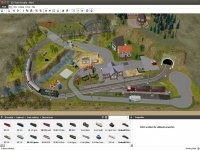 3D Train Studio is software for planning and simulating model railroad layouts on the computer. 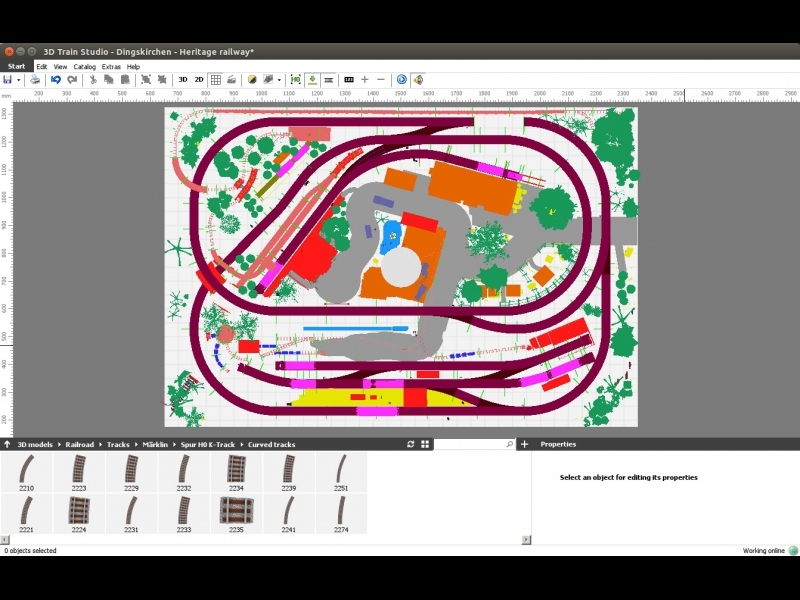 The software is available as a free standard version and as a commercial professional version. I want to share the installation script for downloading and installing the free standard version. POL_SetupWindow_presentation "$TITLE" "Stefan Werner" "http://www.3d-train.com" "Stefan Werner" "$PREFIX"
POL_SetupWindow_wait "$(eval_gettext 'Please wait while installing prerequisites.')" "$TITLE"
# the latest setup from the web. Updated Wine version to improve the compatibility. Updated wine to the latest version to fix some compatibility issues. In addition, please mark this installer as compatible to MacOS X.
I also updated the categories to include OSX. "we could not find any compatible graphics card for display. Make sure that your video card supports DirectX9.0c. I use a bankbook pro 2.5 Ghz Core i5. What am I doing wrong? Ok. You should be good to go now. Refresh the Install window or restart POL for it to show up. Yes, it runs. Thank you. One last question: Do I have to keep the files to the screenshots and icons on my server? The screenshots are already uploaded, so no. For the script resources (left.jpg, etc. ), wait for confirmation from an admin that they have been uploaded to our server. Then you can safely delete them. Wait. Actually, you need to declare and use a wine version. Using the system version is not recommended, and will likely be deprecated soon. Please look at other scripts (for instance https://www.playonlinux.com/en/app-2316-Adobe_Photoshop_CS6.html ) and make sure that you declare and use a WINEVERSION and use it when using POL_Wine_PrefixCreate. It is important that you are always explicit in declaring a Wine version, as it will make your script portable (if someone has a different version of Wine installed on their system that is not compatible with your software, the script won't work.). If you have tested it fine with a specific version of Wine, then declare that version and use it as stated in other scripts, and POL will download/install the WineBuild that you declare and assign it to the virtual drive automatically. 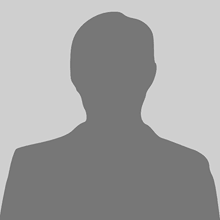 I have removed the script from our repository temporarily. Just until you fix the WINEVERSION issue. Other than that, the script is fine. Thanks for the information, I've update the script. Moved links to resources to commit message instead of "Description" section. +POL_SetupWindow_presentation "$TITLE" "Stefan Werner" "http://www.3d-train.com" "Stefan Werner" "$PREFIX"
+POL_SetupWindow_wait "$(eval_gettext 'Please wait while installing prerequisites.')" "$TITLE"
+# the latest setup from the web. +    POL_SetupWindow_browse "$(eval_gettext 'Please select the setup file to run.')" "$TITLE"
Approved. For the screenshots; please remove all of them from the "Description" section and upload using the "Add a screenshot" button just above "Contributions". Screenshots should only be placed there using the "add a screenshot" function on this page. Also, please remove everything that is not a description from the description section. There should be absolutely nothing in the description section except a description. 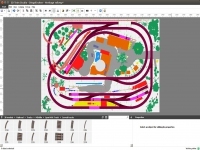 The script will show up in the appropriate spot automatically, and the screenshots will go where they need to when uploaded using the correct function. I did this for you. You just have to upload your screenshots using the button I referenced previously. Thanks for approving, but I can not edit my own description nor do I see a "Add a screenshot" button just above "Contributions". Is this a rights problem? When you first created the script you have access to the description section. Just keep it in mind next time you want to add a script (the only thing in the description should be a description of the program. Not the author or anything else.). I may be a rights issue for the screenshots. I will take care of them for now and look in to that issue.